Therese Martin was born in France to a devout Catholic family. At 15, she became a Carmelite nun. At twenty-four she died of tuberculosis, but nobody but her sister Pauline and her prioress suspected her sanctity. Therese wrote down her spiritual thoughts. Even though she knew she was dying, she felt her mission was just starting. She said she wanted to spend her Heaven doing good on earth, and let a shower of roses fall after her death. 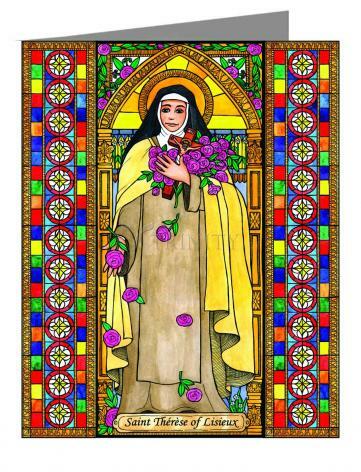 Therese's “little way” was to do everything, no matter how small, to express her love for God.